I did it...I finally bought a (as in one) vanilla bean for $8! I have been eyeing this bean in a little glass jar for quite a while now...in fact, every time I went to the store I would stop and look at it. I always felt like I could never justify the expense but then I found a recipe and decided to go for it. I was so excited when I got home. 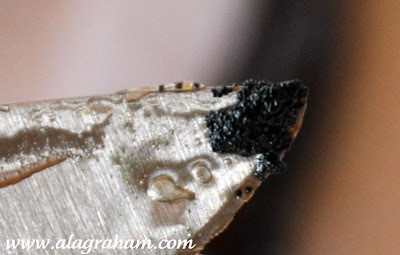 I took it out of the jar and examined my little bean...it smelled heavenly...almost like licorice and cherry tobacco. For future reference I found vanilla beans through Amazon for a way better deal....here. In a small sauce pan, add the sugar and water. 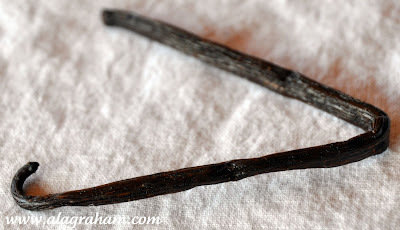 Cut off a 2-inch piece of the vanilla bean and cut in half vertically. Scrape the seeds out of both sides and add to the sugar and water. Bring to a boil over medium high heat and reduce to a low and simmer for about 10 minutes. 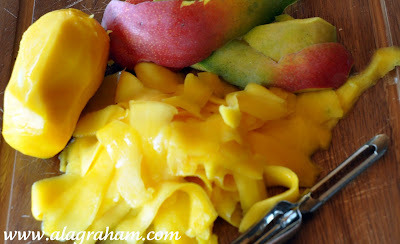 Using a paring knife peel the mango. 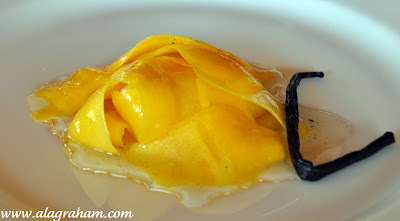 Take a vegetable peeler and cut nice long strips of mango. Arrange on a plate. 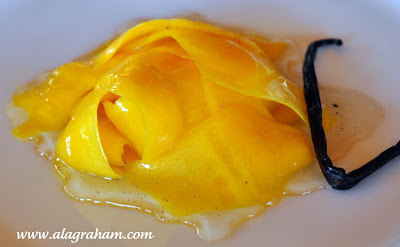 Pour the syrup over the mango and serve immediately. You could also try with other fruits...in the magazine they used papaya but really any soft fruit would work great. This really looks fantastic! So light and I love mango. 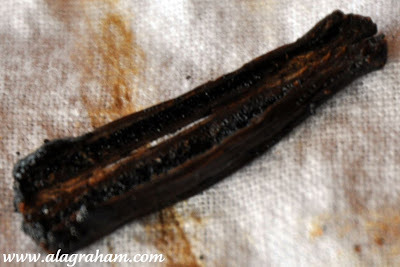 Vanilla beans are so much better than the extract in something like this. What a beautiful and glorious recipe. The flavors are so clean and fresh. Glad to hear that you were able to find a better deal on your vanilla beans! I'm heading over to Amazon to check out Donna Hay. 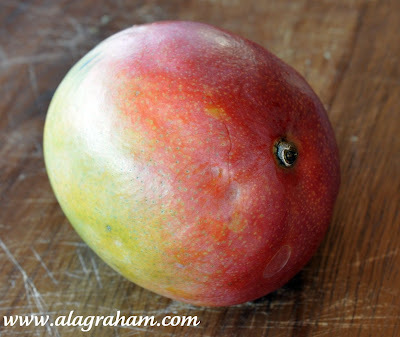 Oh, love those mangoes! 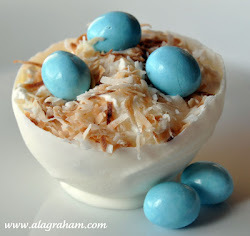 It looks delicious and I love your photos! Very nice!